When: Tue., April 23, 7-9 p.m.
Charlie Chaplin was known for his slapstick silent films, but a lesser known fact is that in addition to starring in, directing, and producing, he also composed the music for many of his films. 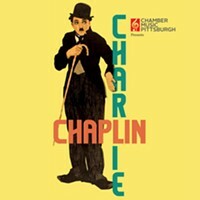 To celebrate Chaplin and his music, Chamber Music Pittsburgh presents the Charlie Chaplin Silent Picture Show at the Mattress Factory, with live musical accompaniment by pianist Tom Roberts and clarinet by Mary Beth Malek to a selection of his films The Rink, The Pawn Shop, and Kid Auto Races at Venice California. BYOBH (bring your own bowler hat).